The Office of University Housing and Residential Life offers an experience that enhances the holistic development of residents. Our residential community is centered on a vibrant university campus and city that offers many social and academic resources. Being a member within our community provides various opportunities for residents to become campus leaders, meet others, and engage in life learning skills. 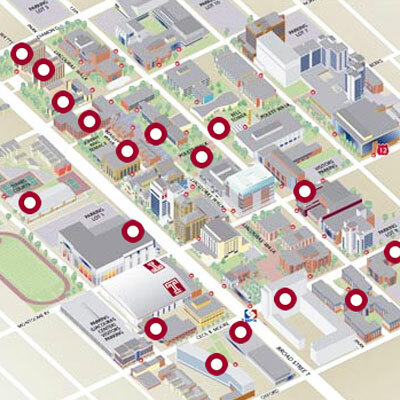 Through living in a Temple University residence hall, residents have a convenient access to classes, comfortable living, nearby dining options, academic studying environments, and quick access into the city. Our residential life staff and community engagement design prepare residents for the real world. Experience Temple through living at Temple! Need bed linens and room supplies? For questions about our Residence halls please contact us here.